The Mini Countryman has always been a bit of an oddity. Its high-riding stance, the bulbous exterior styling and strangely firm suspension settings often leave drivers a little confused as to what it is trying to achieve. Is it a hatchback? Is it an SUV? Is it a bit of both? Is it just a hideous beast that deserves to be killed with fire? Whatever your opinion, we harbour a bit of a soft spot for it here at Flat-Out. This is because a previous generation Cooper S Countryman safely delivered this scribe, a photographer and a bunch of surfing equipment to the outer reaches of Norway following an epic drive through an equally epic country. It not only proved comfortable and just about roomy enough for us and our kit, it also managed to deliver a few thrills when the roads became a little challenging and, ahem, surprisingly free of traffic police. A new generation is due to hit our roads next month and it is decidedly larger than its predecessor – 20cm longer in fact – which improves head and legroom in the rear of the cabin, while freeing up some much needed boot space, but this Mini is no longer mini. The latest model has also undergone some pretty serious, if sometimes subtle, stylistic changes, including a much beefier body kit that gives it a more aggressive presence on and off the road. Additional flourishes, such as a new hexagonal radiator grille, jewel-like additions to flanks and refreshed headlamps, modernise the exterior but arguably don’t do much to improve the overall aesthetic. It’s still a bit of a brute. It’s the dimensions, they’re just a bit awkward. Like a Mini has eaten too much over Christmas, but the extra length and width make it look slightly less podgy than the previous generation, while flared haunches hint at the fact that it can handle a bit of mud-plugging. 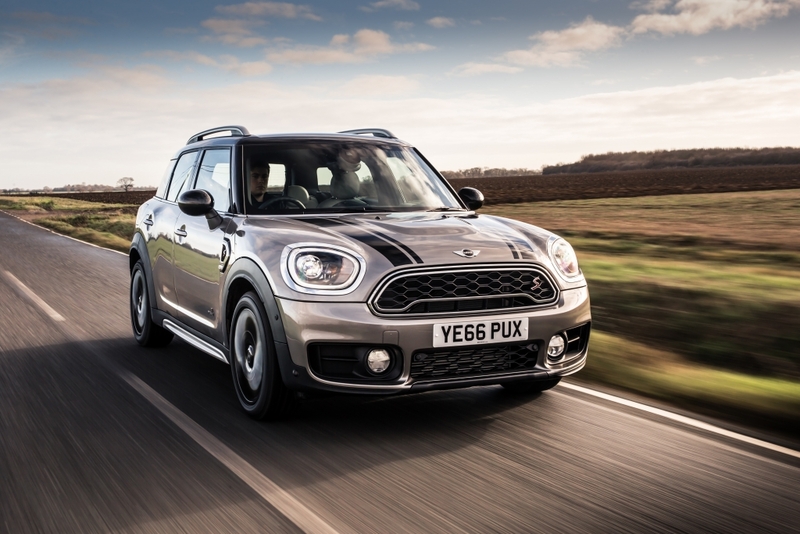 All new Countrymans come with roof rails as standard, giving it a utilitarian, outdoors-y appearance, while the addition of a neat Picnic Bench make it ideal for tailgate parties (if you’re American) or taking off muddy wellies (if you’re British). This foldout leather cushion comes part of an optional Comfort Access package (which also adds an electric tailgate) and sees said leather cushion appear from a compartment in the boot floor. It neatly covers the top of the rear bumper and offers a nice place to sit out of the rain, or protects the rear bodywork from over zealous dog paws or prangs from bike pedals. There was only one engine choice on offer at the launch event and that was the peppy turbocharged 2.0-litre unit in the Cooper S badged models, which develops 192hp. Power is driven through Mini’s slick eight-speed automatic gearbox and clever ALL4 four-wheel-drive system, which distributes torque between the front and the rear axles depending on grip levels. It’s a solid powerplant one one that likes to rev freely, while the quick-shifting auto ‘box does a good job of leaving the driver firmly in control but the extra weight means the engine has to be worked a lot harder. Now, you can’t engage with a Mini employee without the words ‘go-kart’ and ‘handling’ popping up somewhere in the conversation and to an extent, the marque is correct in its description of the real, three-door hatch iterant. But the Countryman doesn’t quite deserve the sprightly hot hatch moniker of its lighter sibling, because the extra strain on the 2.0-litre turbo engine is palpable. The engine note sounds pretty synthetic too – the burbles and rasps filling the cabin with a little too much gusto. Steering remains heavy, as it is with most modern Minis, while the suspension definitely leans on the firm side. Although a sophisticated adjustable damper system can be added for those who like a bit more say over the matter. Regardless, scarred surfaces can become irritating and that heavy steering proves a bit tiresome during low-speed manoeuvres. Still, it remains a fun little thing to throw around country bends and the ALL4 system did a good job of limiting under steer on wet corners. Plus, it doubles-up as a clever off-road system should you whish to subject your SUV some remotely challenging terrain. 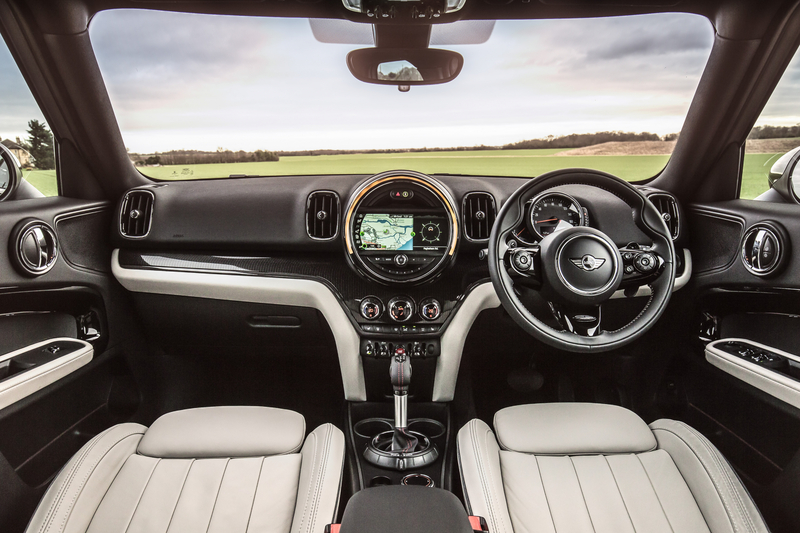 It’s impressive how far Mini interiors have come over the years, transmuting from quirky-but-questionable in the first generation to stylish and sophisticated in this, with more than a whiff of premium now emanating from the cabin. The Countryman Cooper S model driven here featured electrically adjustable leather seats, ambient interior lighting and stylish soft-touch materials covering the dash and surrounds. The infotainment system now resides in the infamous circular binnacle where the speedometer once lived and this ‘Premier’ version features an 8.8-inch touchscreen for the first time, exclusive Harman Kardon hi-fi speaker system and advanced navigation. Of course, this all comes at an eye-watering additional cost but the general ambience feels like Mini has grown-up a great deal over the years without losing its quirky traits. It’s both a lovely place to drive and be driven in. There’s no denying that the additional head, shoulder and legroom in the back is a welcome feature, with the rear bench able to slide backwards and forwards to reveal more boot space or increase passenger comfort. As a result, the boot boasts an extra 100-litres of space, which puts it on par with the Nissan Qashqai and will likely prove a big selling point for those looking to upgrade their Minis. Better still, the infotainment system is now on a level with those offered by Mini’s big brother, BMW. 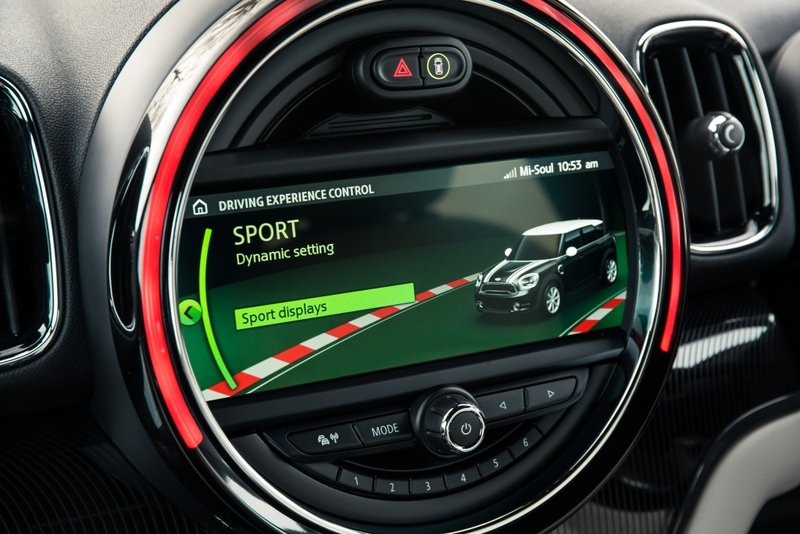 Download a bespoke app, tether a smartphone to that stylish touch-screen display and the Countryman S becomes a virtual assistant. Drivers can be informed of the optimum departure time based on calendar entries and current traffic data, for example. Regularly visited places can be saved to the nav system automatically and frequent routes are stored so the car can alert to any traffic delays. 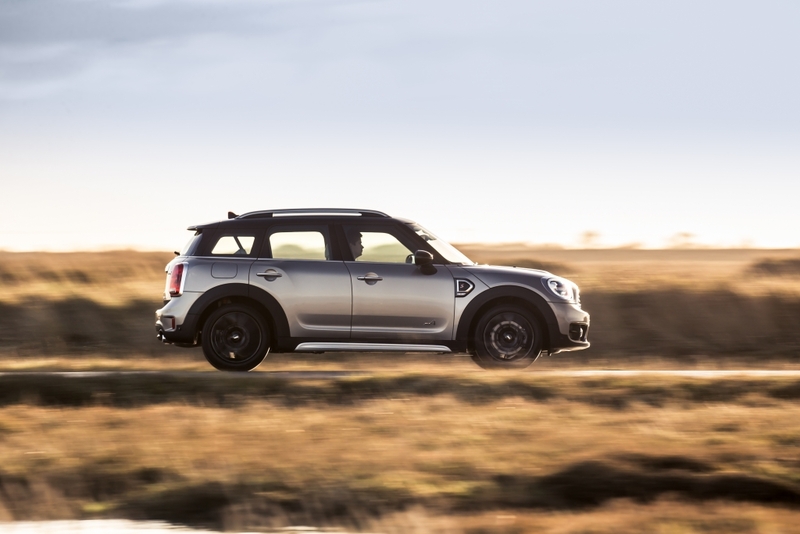 The Countryman was designed to entice Mini owners into something larger and more sophisticated once they have outgrown the hatch and the new model will continue to do such a thing, likely with improved results. Stylistically, it’s very much down to personal opinion but the increased roominess and improved interiors will be a big selling point, while the upgraded infotainment system is very impressive. 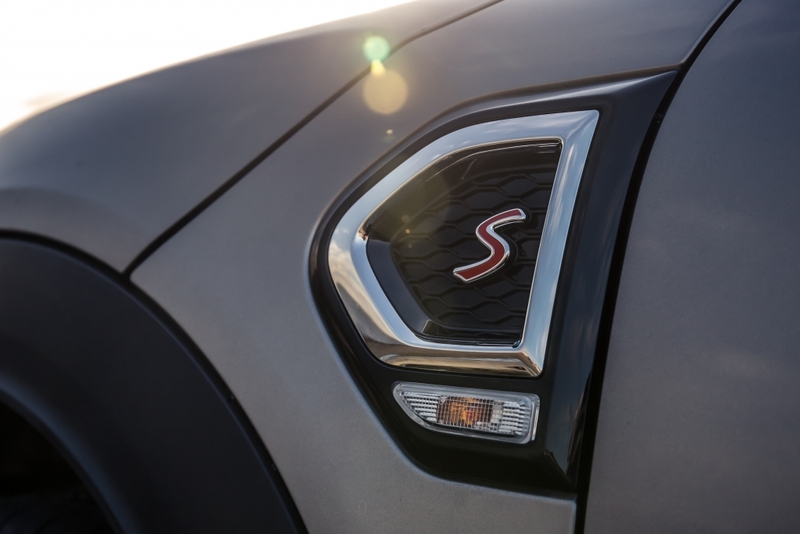 However, this Cooper S Countryman is just a niche too far in our book, lacking the giggles promised by the ‘S’ badge and possessing a firm ride that jars with the bubbly SUV exterior. Plus, it’s priced very much towards those who buy with their heart, rather than their head. We could name a long list of crossovers that are larger, more practical and much easier on the wallet. But that’s not why you buy a Mini and the extensive range of lower-powered petrols and punchy diesel engines will almost certainly suit this car better.